This week, the Real Estate Spotlight shines on an absolutely gorgeous historic home at 23 Andover Road, Billerica. This 3-bedroom home, built in 1840, has 1,600 square feet of living space and a spectacular landscaped yard! 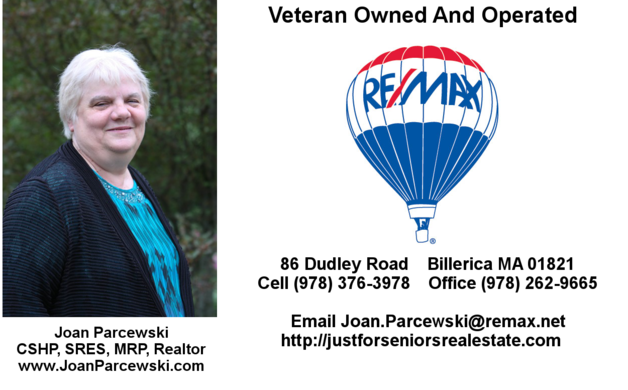 The property is listed by Joan Parcewski of ReMax with an asking price of $477,000. Within walking distance to town center activities (concerts on the common, library, restaurants...) & short drive to shopping & highways north/south - This Circa Greek Revival 1840s home has been lovingly brought into the 21st century while still maintaining the charm of its era – Original kitchen replaced by expanded space with old style gas stove with 5 burners & potfiller as added touch, oversized granite counter center island with 2 additional burners & grill built in, wine cooler, drawer style dishwasher, & seating area with wide screened tv – All this is off 3 season porch with fan to stay cool & that leads to more entertaining space in gated backyard with hot tub, patio & more – Back inside is remodeled bathroom with oversized tiled shower & 1st floor laundry hidden by unique sliders – As your tour continues you can see the wide planked floors, built ins and fireplaces. Click here for more information on this property or to arrange a tour. In the meantime, enjoy this photo tour of 23 Andover St., Billerica.